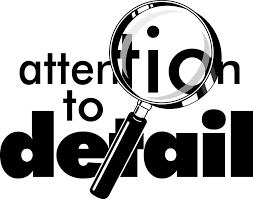 Being a professional and sucessful painting contractor, our quality work depends on everyone's attention to detail. This also holds true for our quotes and proposals. The detail begins with the initial consultation walk-through... We want to discover exactly what our customer's intentions are and how we can follow-through with a quality delivery. Those intentions, coupled with a detailed description of the required preparation work and materials which we recommend using are what is placed within all of our quotes. Each surface is broken-out separately so we can identify the different preparation steps and materials for that particular surface (and so our customer's can see the price for that surface). For example, a typical bedroom consists of ceiling, walls, baseboard, closet interior, and a door. Each of these surfaces require different materials and different preparation steps, and thus are separated within the quote.